Besides the incredibly low cost for building and heating, this tiny house is easy to move, which is a primary reason why the owner chose this style. This tiny house was custom designed to suit the owner’s needs, and the foundation for the house is a steel frame that was fabricated locally. 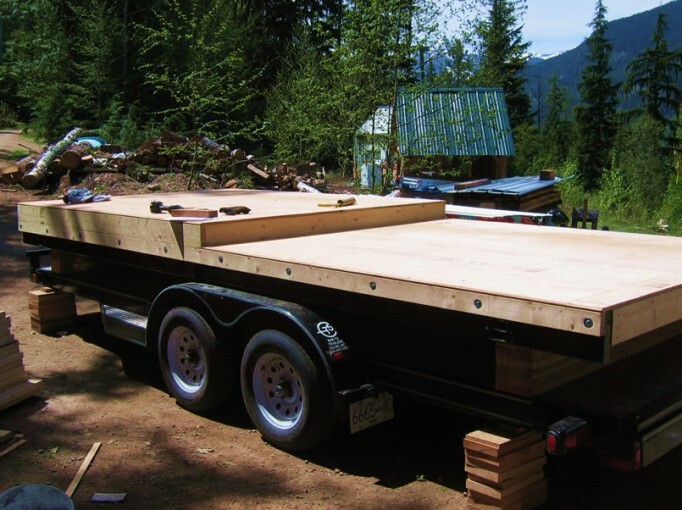 Jacks fit into each of the four corners, so the frame can be raised and set onto a flat bed trailer for transporting it. The floor is insulated, and the owner chose to have sheet metal installed on the bottom of the steel foundation. The floor of the house is not completely flat – there is a step up about halfway along the length of the house to provide an implied separation of space for the bedroom area. Having flexible space that can be used for different purposes, and using open concept design with implied separation rather than walls, are important keys to having a small house feel comfortable rather than cramped.